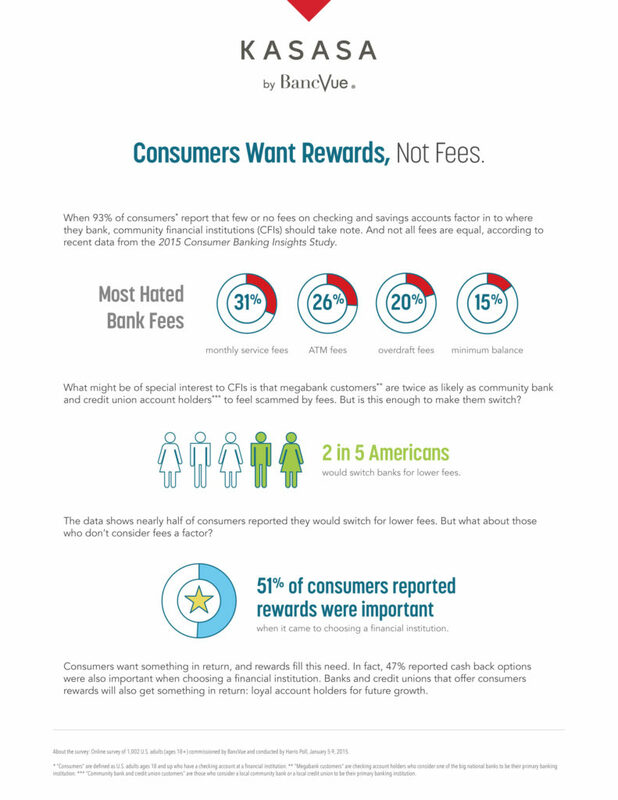 Consumers Want Rewards, Not Fees. When 93% of consumers report that few or no fees on checking and savings accounts factor in to where they bank, community financial institutions (CFIs) should take note. And not all fees are equal, according to recent data from the 2015 Consumer Banking Insights Study. View the full 2015 CBI Study Infographic, and download the Executive Summary.